Brrrrr it is getting cold now that we are hitting November. Soon the snow will be starting… well not for us down here in the south. I wanted to let my daughter have some fun with her imagination pretending she got snow. 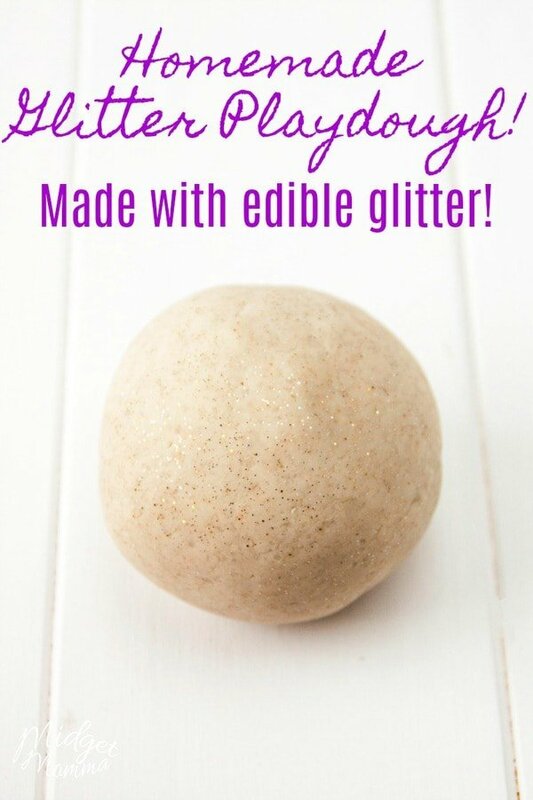 This Homemade Sparkle Playdough is perfect for kids! 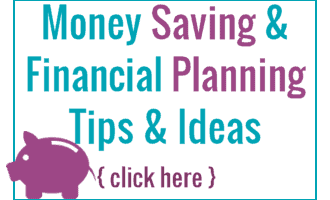 They can help you make it and then get to play with it too! We love making our homemade playdough and making it the colors that we want to have. But of course when you have little girls in the house they want sparkles! What does that mean? 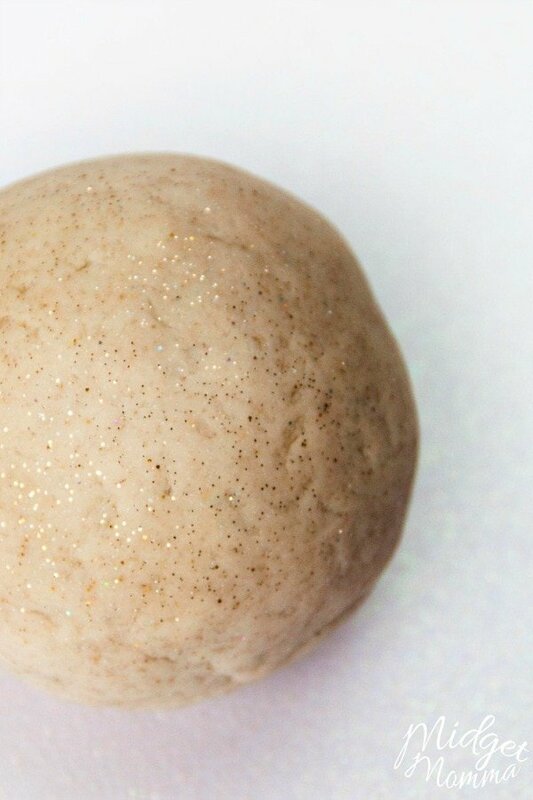 It means mom comes up with a sparkle playdough recipe because she loves homemade playdough! Lucky for you all I came up with one and you can just make this one instead of having to come up with one yourself. 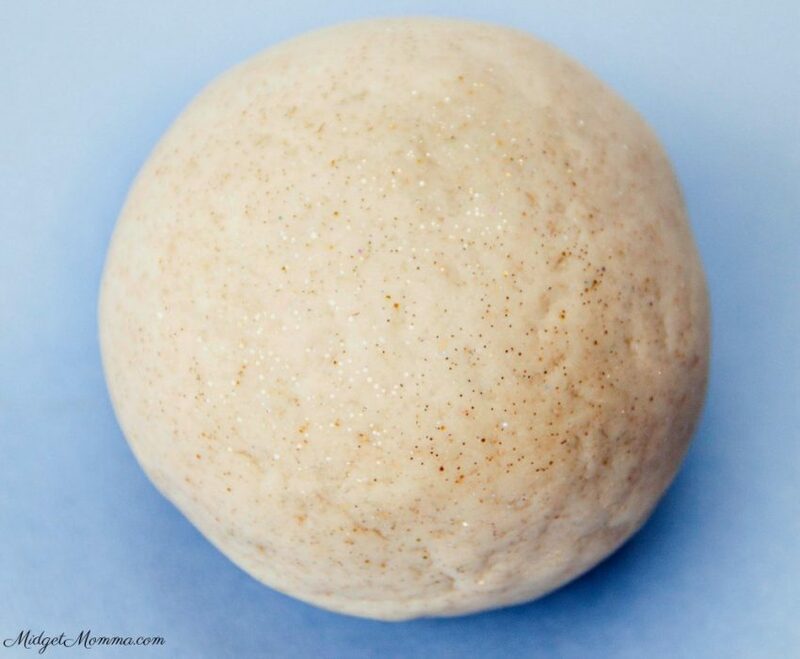 🙂 You can also make this Sparkle Playdough smell awesome by using our scented playdough recipe and use winter scents! In a small sauce pan bring your water to a boil. While you bring your water up to a boil, stir together in a medium bowl the flour, salt, cream of tartar, glitter, and oil. Have an adult slowly pour the water into the flour mixture, stir until dough forms. Once the dough is cool enough to touch place the dough on your counter and knead it until it reaches a smooth consistency. Looking for more fun to have with the kids? Check these out!